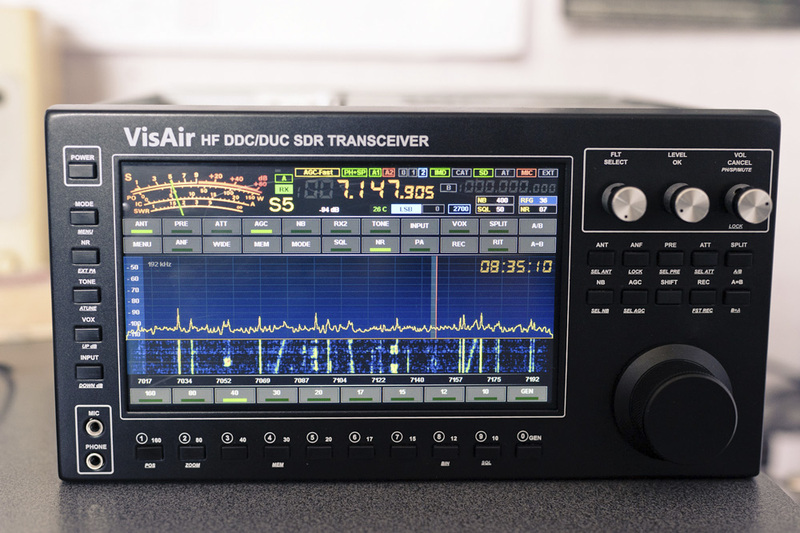 Visair is a SDR DDC/DUC transceiver with direct signal digitization and operates in the frequency range of the amateur HF bands, with two independent receivers with an overview up to 192 kHz. A 7″ large color display with a resolution of 800×400 pixels allows you to comfortably control the transceiver and monitor the air. 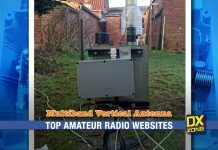 The transceiver has a 100 watt power amplifier, as well as an automatic antenna tuner. 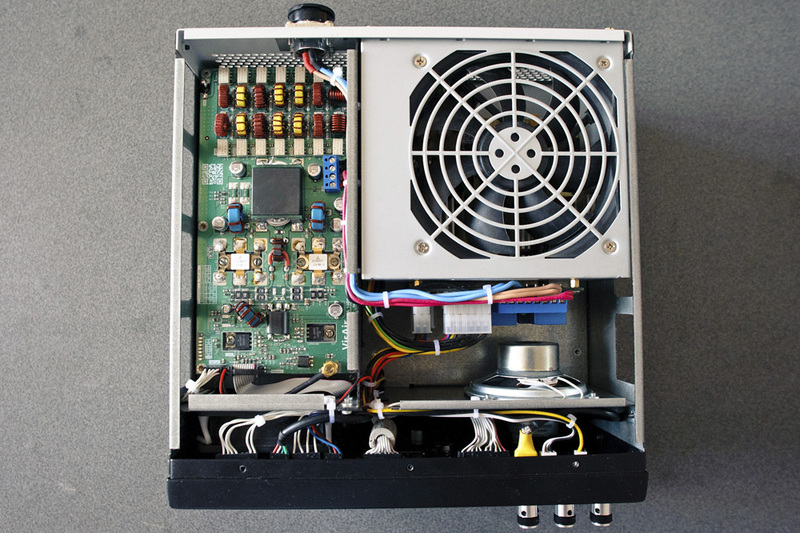 The built-in power supply allows the transceiver to be powered from AC ~ 220V, and in the field, from a 13.8V battery. 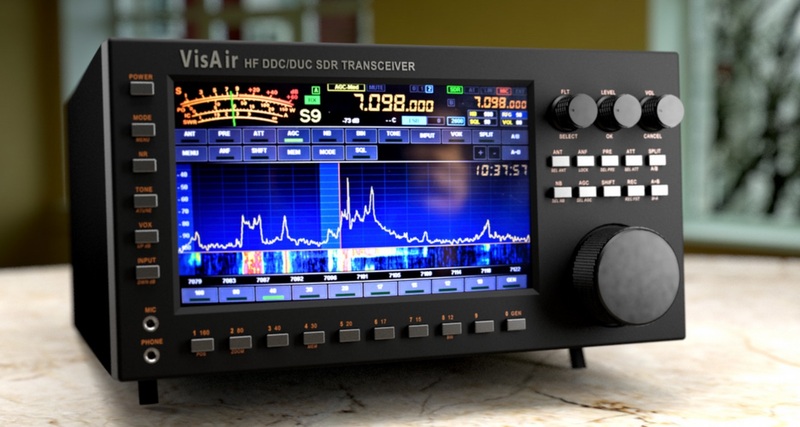 The VisAir HF transceiver DDC/DUC 100W ATU is the result of a cooperation of RX9CIM George and R6DAN Vladimir who developer repectively the DSP module and the controller. 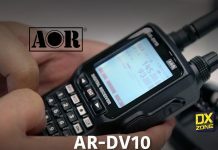 The distinctive feature of the transceiver is the modern data processing in DSP and the output of the information to a large 7″ Touch Color TFT LCD display with a resolution of 800 x 480 with Capacitive touch screen. Minimum signal delay for reception and transmission. The user has the ability to adjust a large number of transceiver parameters. To date, Visair among products of its class, is the only transceiver having a such high-quality spectrum analyzer with waterfall. 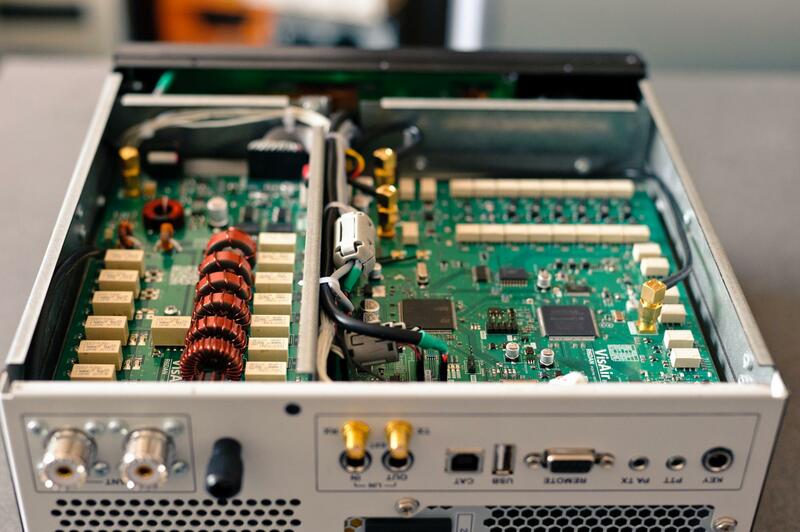 The output of its Spectrum analyzer is performed in real time. That allows you to get full visual information about the corespondents in the analyzer’s bandwidth. The Spectrum Analyzer has a configurable depth of the visible area and is in the range of -150 db to 10 db, which allows the operator to adjust the Spectrum analyzer to the current reception conditions. 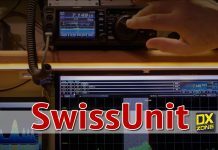 An additional receiver operating in the band from 0.01 to 60 MHz, allows you to quickly monitor other bands and stations in the band of the first receiver. Independent settings for the viewband, the type of modulation and the width of the filter for the second receiver. 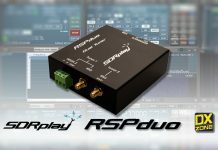 Built-in audio player, allows you to record the received stations and, if necessary, make a signal demodulation to the correspondent. 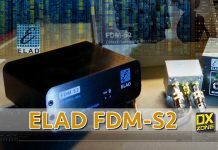 The signal pre-emphasis function in the power amplifier reduces the intermodulation distortion during transmission in SSB and digital communication modes. 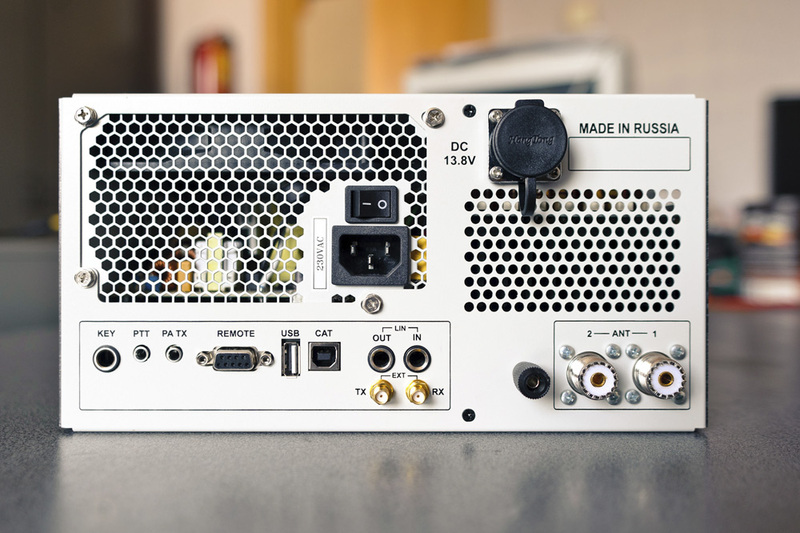 Built-in antenna tuner and power supply. 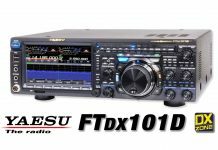 will allow to use the transceiver both in stationary conditions and in the field. Number of antenna inputs 2 pcs.